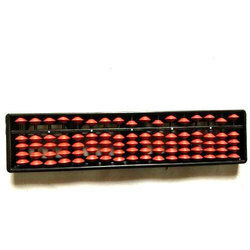 We are one of the leading Manufacturer of a wide range of Abacus Kit, Student Abacus and Master Abacus. 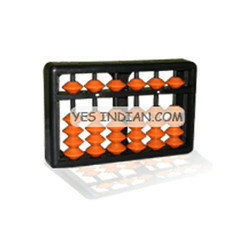 Incepted in the year 2017, Yoga Anand Educational Suppliers is one of the foremost manufacturers of a wide assortment of Abacus Kit, Student Abacus and Master Abacus. 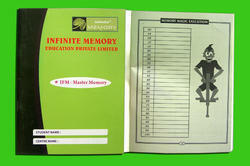 Our educational item is widely used across training and educational institutes as a medium to train and develop human brain functions especially in kids. In addition to the abacus, we also offer engineering & textile component, and packaging products for different industries. The concentration of our firm is on developing an enhanced tomorrow and that’s why it is dedicated towards excellence and always tries to do pioneering implantations to become a future corporation. We always try to improve and evolve our skills by conducting intervallic seminars for the upcoming and most upgraded techniques. Our widespread Infrastructure is equipped with different units of production, quality inspection and trade. Our team of well experienced technical professionals, researchers, quality experts and marketing personnel work under the guidance of our professional and expert leader & Manager “Mr. Yoganand” who has wide expertise in the production of these apparatus by following certain national quality and education standards and are dedicated to fulfilling the requirements of several schools. 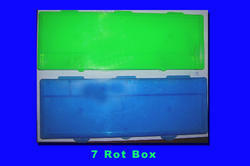 We are authoritative in manufacturing the qualitative products and our well-integrated work set up is our key to growth. Our infrastructure is scattered over a large area and features adequate expansion potential. We invest substantial amounts in leveraging prevailing manufacturing techniques that nurture our proficiency to enhance our product reach in a dynamic marketplace. Our in-house manufacturing units are parted into highly advanced divisions for R & D, product testing, packaging and distribution activities that are headed by trained professionals. Our team of industrious and skilled professionals has been crucial to our phenomenal success throughout the years. Our adept personnel are aware of their respective tasks and complete their responsibility with perfection.